Home » Community and Society » Pets and Animals » Don’t have kittens because it’s raining cats…and more cats in San Pedro! You might just have one cat or maybe even two. They hang around, entertain the children and hopefully catch mice and rats. They may be house pets, loved by the family for their personality and playful nature. They might just be cats that aren't really yours but you still put out food for them. All of these cats are capable of having kittens and all of these cats are the reason that San Pedro now has an overpopulation of our furry feline friends. 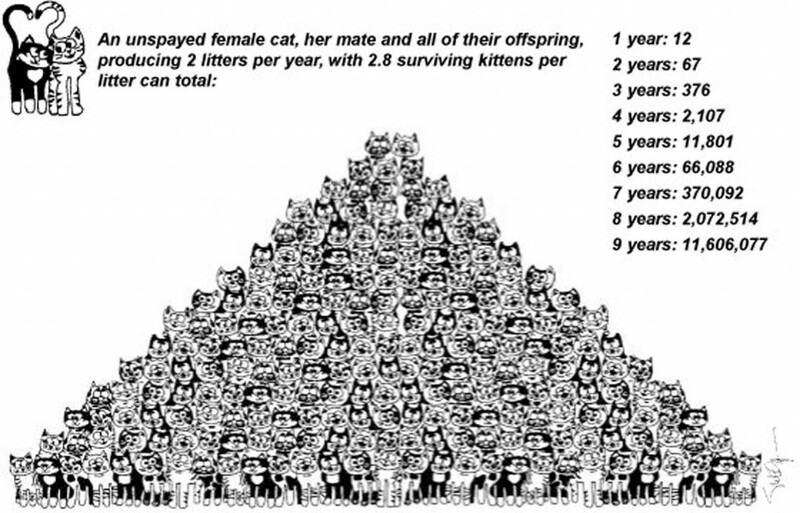 Often people say ‘Oh I only let her have one litter’ or ‘I can find homes for them’ but if they knew the truth about cats and their amazing ability to reproduce, they would certainly think twice. 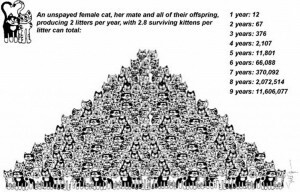 Just one unspayed female cat and her mate, along with their offspring will be responsible for producing over eleven million new cats in nine years. Do we really want eleven million cats in San Pedro? SAGA Humane Society is already overflowing with cats and kittens. 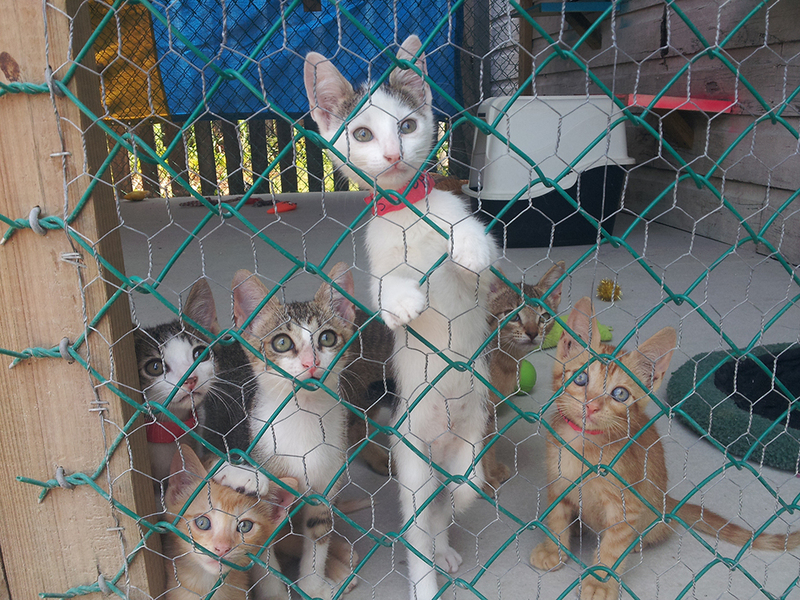 Currently they have almost 30 in their care and very few are being adopted. If you walk around the Town in the evening, you’ll see many sad, sick and very skinny cats slinking between the golf carts and cars. So, what can San Pedro do to stop it from raining cats? If you have a cat or kitten and you want to do the responsible thing, please contact SAGA about spaying or neutering. If you are worried about the cost, let them know and they will do everything they can to assist through Operation SNIP. If you know of a stray cat that has had kittens or is pregnant, please let SAGA know. To find out how you can help the cats of San Pedro please call SAGA on 226 3266.